His “Dash” Made a Difference! In between the date of our birth, and the date of our passing, each of us is given a “dash” on which to write our own little piece of history. HRC is better, and much bigger today, because Bob Fetty seized the opportunity to use his “dash” to make an important difference in so many ways. Together with his wife Joan, Bob played the pivotal role in founding Whistling Wings HRC. Whistling Wings was the very first UKC Hunting Retriever Club in the Pacific Northwest, and also the first HRC club west of the Rocky Mountains. This important beginning led in-turn to the creation of four HRC clubs in Washington state (with a fifth likely later this year), one club in Alaska, two clubs in Oregon, four clubs in Montana, two clubs in California and an HRC club in British Columbia, Canada. Even with the challenges that accompany such extraordinary growth, HRC continues to be the fastest growing retriever organization west of the Rocky Mountains. Bob was a values-driven trailblazer, and a Renaissance Man, whose expertise and passion for life encompassed a wide variety of subject areas, including the law (where he was a fierce, fearless and successful lawyer, and a judge), in the armed forces where he served as a Lieutenant in the Korean war zone, wrestling, tennis, canoeing, canoe building, hunting, award-winning competitive shooting, crewing for international sailboat races, serving in the Boy Scouts, coaching youth soccer, and of course, dogs. Bob’s introduction to dogs began with a Golden Retriever puppy that he and Joan trained, and then they embarked on a competitive campaign that led to numerous obedience and tracking titles. Bob raised, trained, and competed, two additional Golden Retrievers before discovering simulated hunting competitions. The discovery led Bob to a whole new interest. 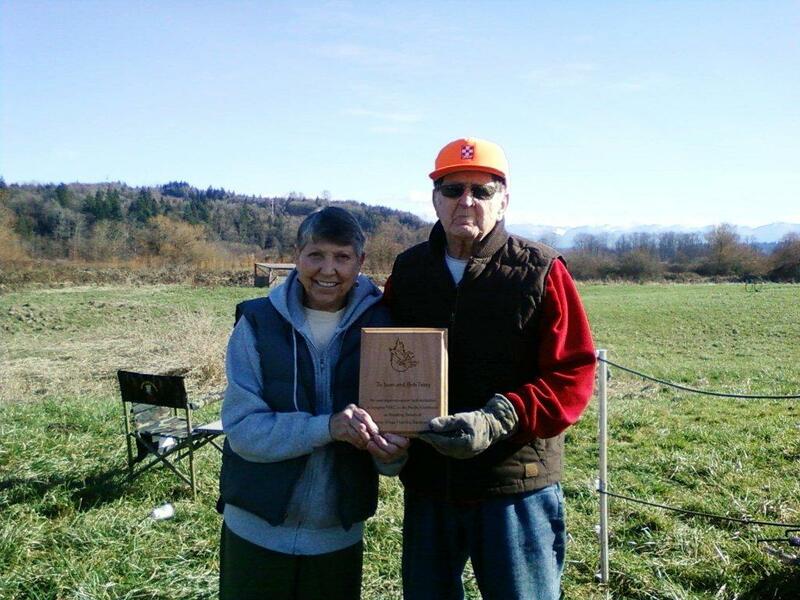 Upon observing that a more realistic type of hunt test existed on the East Coast, and in Southern States, Bob and Joan worked successfully to convince the UKC’s Hunting Retriever Club, Inc. to allow them to introduce HRC Hunt Tests on the West Coast. Their dream was that these new HRC clubs would grow in number. They have, and Bob enjoyed attending and judging those events, even as he fought a very long and difficult 40-year battle with diabetes. Bob hated being diabetic, but through all of his struggles and pain he never complained, choosing instead to live life to the fullest. He and Joan added a Chesapeake Bay Retriever to the family so that he could learn about working another breed of field dog. Earning many test and conformation titles with his dogs, he then trained, and became a judge for AKC, CKC, NAHRA and finally UKC events. Even with his varied interests and many accomplishments, Bob’s greatest joy in life was his immediate family: Joan, their son Rob, his grandchildren Bridget, Isabel and Vin. The magnitude of the immense sense of loss from Bob’s passing is also the precise measure of the blessing he was – and the memories of Bob continue to be – in the lives of those who were privileged to know him, or blessed to have the opportunity to “go to the line” at an HRC Hunt Test West of the Rockies.